The election of 1908 resulted in the two parties winning the same number of seats, and produced Newfoundland and Labrador's most famous constitutional crisis. The unprecedented tie created political chaos, and allowed the governor to exercise greater influence over who formed the government than was normally the case. 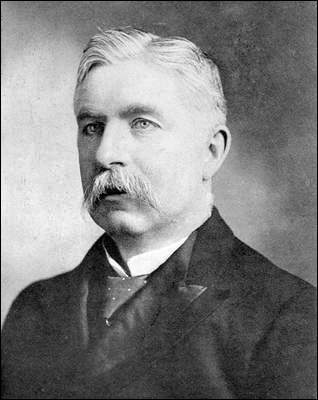 Between 1900 and 1907 Newfoundland and Labrador enjoyed a period of economic prosperity that allowed the government of Robert Bond to engage in some ambitious policies. Bond revised the controversial agreement by which the government compensated the Reid Newfoundland Company for the construction and operation of a trans-island railway, and in doing so made an enemy of the powerful Reid family. Bond also attempted to prevent Americans from buying herring from Newfoundlanders on the west coast - a measure intended to support the Newfoundland fishery, but which was unpopular with fishermen who made some much-needed cash by selling bait to American vessels. The resulting international incident created little love for Bond among officials at the Colonial Office in London. While he had the support of the Liberal caucus for these policies during prosperous economic times, forces were lined up against him by 1908 when the economy entered into a slump. The Creation of "The People's Party"
In 1907 an ambitious minister in the Liberal government, Edward Morris, resigned from the cabinet on a minor pretext. Initially he sat in the Assembly as an independent, and he soon had the backing of the Conservatives and a few dissident Liberals for his new "People's Party", which was ready to contest the election. Bond ran confidently on his government's record. He had the friendship and support of Roman Catholic Archbishop M.F. Howley, Roman Catholics had tended to vote Liberal over the years, and his party was secure in many of the northern districts with Protestant majorities. Morris' newly-created People's Party had the backing of the Conservatives and a few dissident Liberals. Courtesy of The Rooms Provincial Archives Division (VA 33-59), St. John's, NL. Morris was an extremely effective campaigner, and put forward a well-designed platform that provided a vision of the future rather than relying upon past accomplishments as did the government. His platform consisted of a list of promises that appealed to most constituencies with the country, and in particular promised branch railway lines into many of the more populated bays. These branch lines were attractive to voters not only for the potential railway service, but the many construction jobs that the branches represented. Strategically, he appealed to the "Liberal" constituencies that had large numbers of Roman Catholics, in part because Morris was one of them. By condemning "sectarianism" he implied that Protestants were supporting Bond out of anti-Catholic motives. While the Church hierarchy's influence over voters might have been significant at some points in the past, Morris was a popular leader among the Roman Catholic community and that more than compensated for Howley's support for Bond. Morris' support also included the Conservative voters, many of whom were Protestants, who had long wanted to oust Bond and were willing to support Morris' People's Party to do it. The result of the contest was a tie, each party taking 18 seats in the Assembly, with the popular vote split nearly evenly. Although Bond remained premier, it was clear that the Liberals could not put together a majority in the Assembly. Once Bond appointed a Speaker, who would have to come from his own ranks and would not have the right to vote, the Liberals would have only 17 votes to the People's Party's 18. This would make passing a supply bill impossible and would bring the government down. Meanwhile, Morris was suggesting that since Bond had not won the election he should not be allowed to spend public money until the political deadlock had been resolved. Governor Sir William MacGregor lacked any precedents to guide him in his decisions during the ensuing constitutional wrangling, and he shared the British government's dislike for Bond. Bond asked the governor to call another election in hopes of creating a clear winner and resolving the crisis. MacGregor did not want to do so, since such an election would have to be held during the fishing season when thousands of voters were away from their homes. The governor refused Bond's request, leaving him with no choice but to resign as premier. The governor then asked Morris if he would be able to get a majority in the Assembly and pass a supply bill. Morris maintained that he could, so MacGregor appointed Morris as the premier and called the legislature into session. If Morris genuinely believed he could get enough votes in the Assembly, he did not explain how he intended to do it. 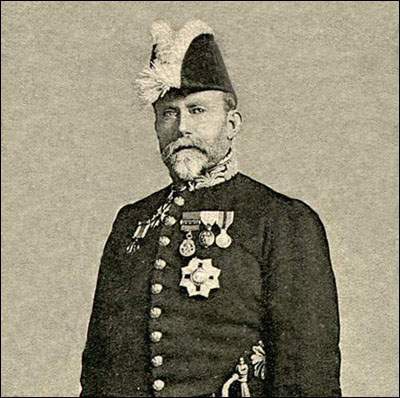 Governor Sir William MacGregor (1846-1919), n.d. Bond had no choice but to resign as premier when MacGregor refused to call another election. Courtesy of The Rooms Provincial Archives Division (V A33-60), St. John's, NL. Despite his assurances, Morris was unable to elect a speaker, let alone pass a supply bill, leaving MacGregor no choice but to call another election, despite having refused to do so for Bond weeks earlier. The choice MacGregor now faced was the question of who would be the premier during the campaign period. Unlike Bond, Morris had not resigned when it was proven he could not govern. Officials in the Colonial Office held conflicting views as to best course of action - should Morris remain as premier until after the election, or should Bond resume the premiership pending the outcome of the vote? Bond's stormy relationship with the British government now came into play. The Colonial Office preferred Morris over Bond, and believed he had a better chance of winning as premier. The Liberals condemned MacGregor's actions, but that had little effect upon the voters. Since Morris was now premier, even though he had not established a majority in the Assembly, he was able to use his executive power to spend government funds. Morris made effective use of his popular appeal, his capture of the Roman Catholic vote in traditional Liberal constituencies and government spending to reward potential supporters. The People's Party gained a majority of seats in the election of 1909. The constitutional crisis had ended. For other related articles view the Government and Politics Table of Contents Responsible Government 1855-1933 section.